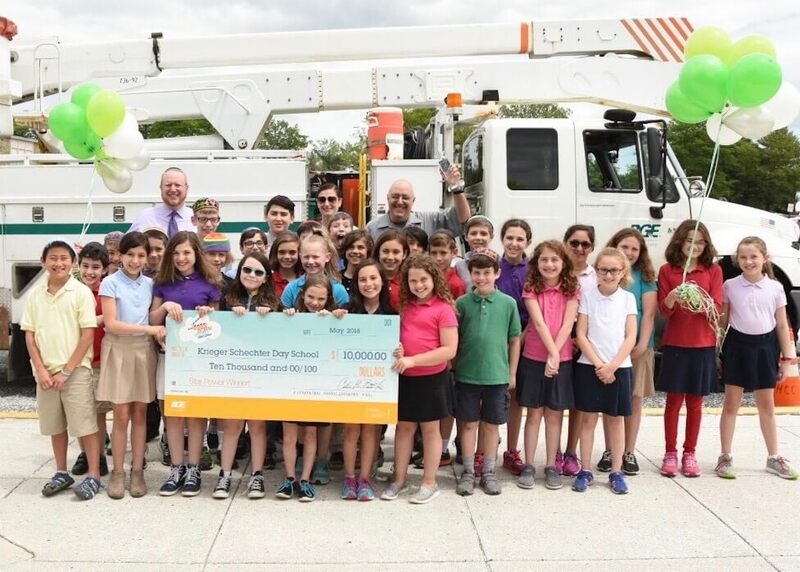 On May 23 BGE surprised students at Krieger Schechter Day School (KSDS) by awarding $10,000, along with a trophy, to Mr. Alex Thaler and his class for creating the grand prize-winning video in the company’s Wires Down Video Challenge. The annual contest encourages elementary schools to create their own version of BGE’s popular “Wires Down” electric safety commercial for the chance to win between $500 and $10,000 to fund a school enrichment project. The winning video was aired on major networks over the weekend following the award. KSDS will use the grand prize to support their Science, Technology, Engineering, Arts and Math (STEAM) programs. A portion of the prize will also be donated to the Weekend Backpacks for Homeless Kids, which provides Baltimore City school students and their families food for the weekend, and BGE will generously match the KSDS donation.